Small US brewers are equal parts innovators and adherents. On one hand, they’re always coming up with new beers, wowing tap room patrons with specialties and one-offs. On the other, drinkers want what they want: lighter beers in the summer, heavier ones when it’s cold, and IPAs all the time. This time of year, a lot of you want pumpkin beers. Nick Garrison appreciates the pumpkin wave, but the founder in 2013 of Foolproof Brewing Co. in Pawtucket, R.I., decided to pivot with his cold-weather seasonal. 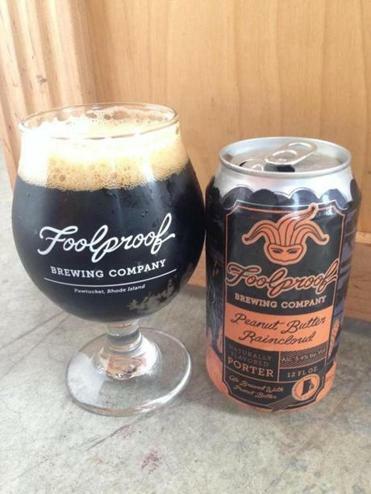 Foolproof is taking its Raincloud Robust Porter and adding peanut butter. The resulting beer, Peanut Butter Raincloud, is as far as you can get from a pumpkin ale. There are other peanut butter beers. A quick Beer Advocate search turns up an incomplete historical account of 188, but they’re not super common. One trick to making one is knowing you can’t just dump a bunch of peanut butter in. Peanut butter is hard to work with, and the oils in it do all kinds of bad things to beer, like retard head retention. Foolproof uses a dehydrated peanut butter from another Pawtucket small business, Nuts ’N More. Unlike with some peanut butter beers, there are no artificial flavors. Garrison says the demand for the beer is high; the entire allotment shipped to Connecticut sold out in just one day. Peanut Butter Raincloud has been available in Rhode Island for a few weeks, and should be available in Massachusetts starting this week.